← It’s Spring! And Tuesday! Let’s Do This! We have paired up with the Flat Tire Lounge to provide Tacopocalypse Tacos to you EVERY THURSDAY EFFECTIVE IMMEDIATELY! That’s right, every Thursday (even this Thursday) you can ride your bike (or take whatever transportation you choose) to the FTL in Madrid for some tacos. We plan on starting around 3 pm, although the time could change to 2 or to 4 depending on your demand and travel times. We are always open to suggestion. One of my favorite spots in the state. I love this bridge. So…we will see you this Thursday in Madrid for some wild taco action, and when the tacos are done there may be a 10pm ride to the HTT Bridge to hang out with the staff! Oh yeah! 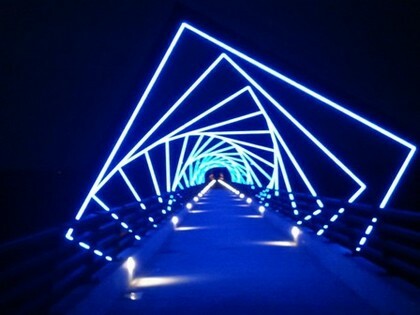 This entry was posted in Uncategorized and tagged biking, Flat Tire Lounge, High Trestle Trail, iowa, Madrid, tacos. Bookmark the permalink.